Women's Scarf, Silk and Merino Wool, felted. 80% New Zealand merino and 20% silk chiffon. Super soft and weight is like putting a feather around your neck. 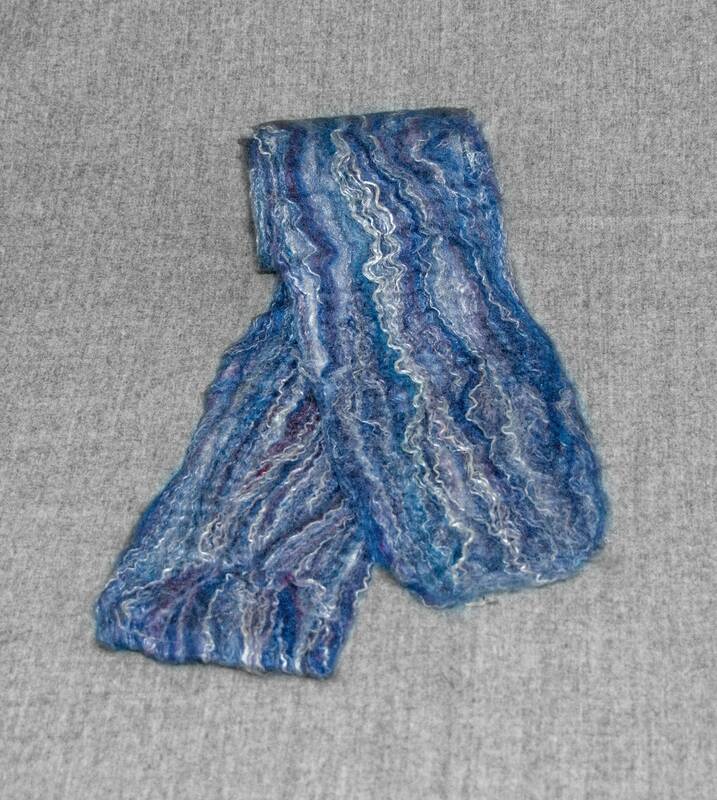 This scarf looks has waves of blue, white and a touch of purple. It almost looks edible. Measures approx. 3 1/2" by 62" long. No fringe. Hand wash, lay flat to dry. Because it is wool and silk it is very warm. Each one is unique in the way it felts. The waviness of the wool and silk create a striking look. Women's Scarf. Handwoven Green and Off White.